Abigail and Kenzie love each other so much. Abigail has been a bit too lovey with Kenzie, and we're really working on playing appropriately with Kenzie. That said, Kenz is extremely tolerant of Abigail's love. Abby sits on her, hugs her, puts things on her, and takes things away from her. Everything is obviously done because Abby is wanting to interact with her. 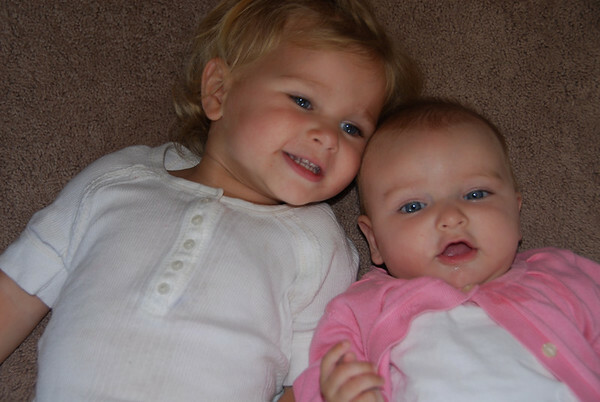 I can't wait until Kenzie is older and can play with her sister more. Kenzie always smiles when Abby is around.